After much anxiety among the faithless, the snow has finally arrived at Red. 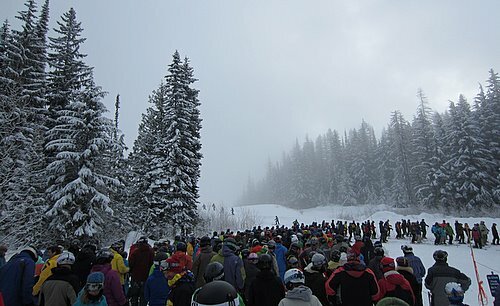 There have been a few great days these past couple of weeks, including the past two Saturdays, making for happy weekend skiers and long lines. With the base now hovering around 2 meters, and covering the rocks and assorted schnarb, the amount of ski-able terrain is finally getting close to what we know and love. There’s no shortage of challenging terrain at Red. Although the whole cliff zone from Sara’s through the Coolers is still looking pretty boney, there are always plenty of tracks in wild places. 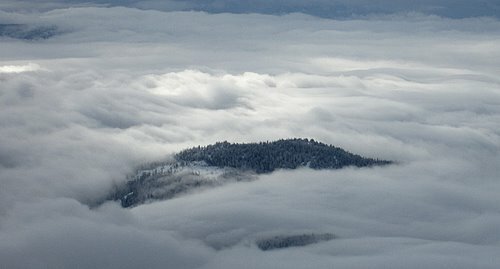 An Island in the Kootenay Sea. 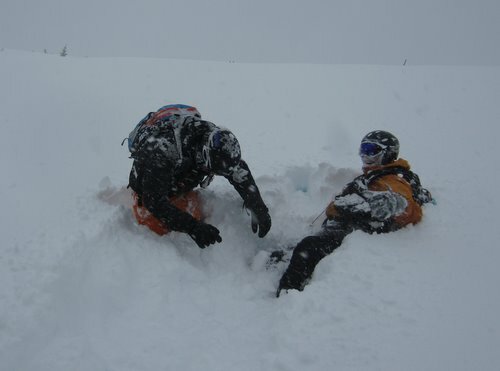 Our ski patrol seem to be having trouble finding the appropriate level of avy control this season, whether forcing late lift starts as though surprised that it actually snowed (too many times to count), or carpet bombing when it’s ankle deep (yesterday). Let’s hope they get it together eventually. 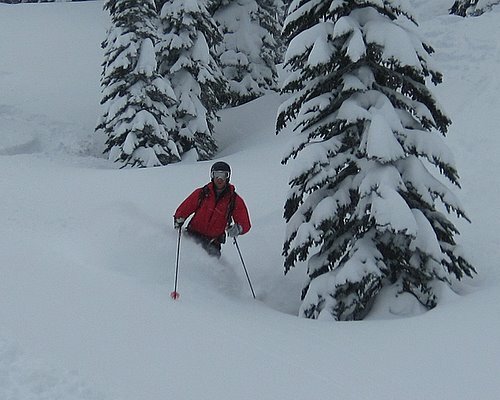 I love the way deep powder snow can make adults play like children. 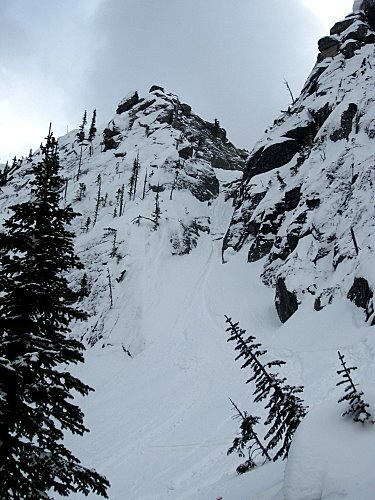 Just another powder skiing snap shot from Wildhorse. I’ll be ski-guiding solidly for the next couple of weeks, including a Fairy Meadows trip. Hoping for a some stability and sun.